I have never had Maker’s Mark or caramel apple pie. Cheers to awesome new food and the best of holiday traditions! It’s certainly not anything healthy. 🙂 But a nice treat for the holidays. Hope yours are happy! Oh my word. YUM. This is why I both anticipate and dread Mondays (or Sunday nights)…because I know I’ll see (and practically be able to taste) another recipe of yours. We’ll have to have you guys over for dinner when it warms back up! Oh no…I think I’m going to faint. You drank too much of the bourbon, didn’t you? Oh Sweet Jesus on a snowmobile! That looks INCREDIBLE. When is someone going to invent Smellivision? ooh, yummy! I’m gonna have to try this… would it be okay if substitute coca cola or dr. p for the 7 up? Of course I should at least try it with 7 up once, right? Hah, the mixer of choice is entirely up to you! I’m fascinated by the not sharing recipes thing. I’ve never thought one thing about it. Is it because people might take them, claim them as their own and then enter contests? I love spreading recipe love around and want to thank YOU for sharing this one – as I love, love, love apple pie! You’re welcome! I hope you get to try it! That looks delicious, I love apple pie! It’s definitely a special treat! Please send me a pie. All the way over there? Haha. I’ll need to get a job to pay for postage. How cool to have a husband who bakes! How was it that the tree didn’t produce any apples this year??? That just seems odd. I do love apple pie though and the husband likes whiskey! This one could be a win win situation. I know! It was so weird. Wow, I am so impressed! I have a secret appetizer bread recipe that I rarely share. It’s the only way I get invited to parties. Thanks for sharing it. I have a close friend who would always stall when I asked her for her Brunswick Stew recipe. Apparently it was a family secret. I never got it. But piddled until I make my own version that I think is just as good.Screw her. Haha, friends who don’t share recipes are mean! That looks amazing! I love apple pie, but have never had it like this. Can I be your neighbor so you can send one to me? I’m not so little. 🙂 I don’t know if wine would make for a good apple pie. Strawberry maybe! I’m not usually a fan of apple pie but I could eat this. Yum. You know what would be awesome? If you could make this into a cocktail instead. I love your concoction! My husband who has a food blog – which he hasn’t posted on in a few months – struggled with the sharing of recipes too. Now he says it doesn’t matter – someone will tweak his recipe and call it their own. I think that’s how life works. Everything has already been done to a certain point, so we just adjust this and that and call it new! Oh my… that sounds wonderful! I understand what you mean about sharing a recipe that is “your thing”. I just posted the recipe for my pumpkin roll – it’s been a tradition for every Thanksgiving and Christmas for at least a couple of decades. My grandmother makes a pumpkin roll too! Does it have a cream cheese mixture in the middle? It’s my favorite. How did you know I was looking for a good apple pie recipe? I need that apple peeler thing though. The last two times I almost died of hand peeling apples with a parring knife. Now to just find some whiskey for some reason I dont think wine would make a good substitute. Ah love me some apple pah. Really, this looks delish. I love the first step of the recipe–this? I can do. PAH! That’s right. That’s how you say it. 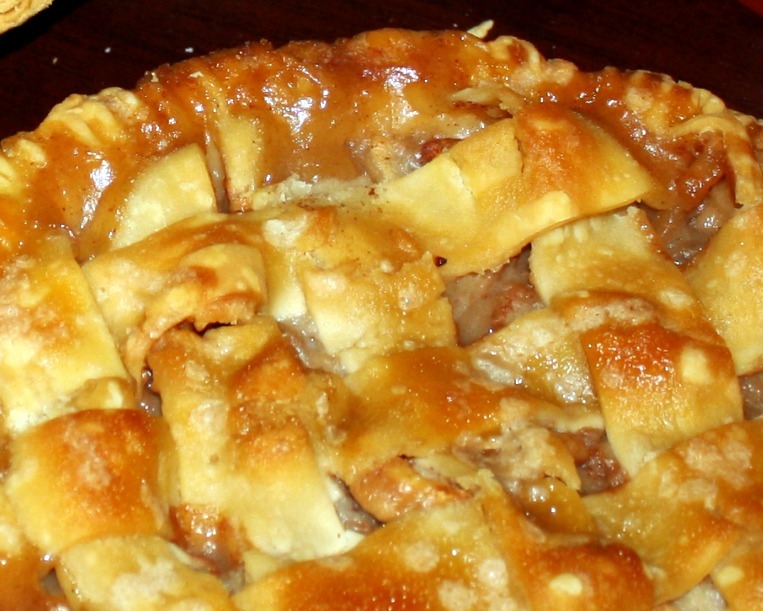 I’ve always wanted to make homemade apple pie…this looks delicious! Thanks! I hope you make it and turns out great! First, I love, love, LOVE the very first line of instructions for this recipe. I’ve never made pie before, but I’m pretty sure I could at least handle that first part. In January, I’m going to share the recipe for my “thing” – my grandmother’s homemade turkey vegetable soup. I thought long and hard about it but decided that it does, in fact, need to be shared with the world. I’m such a giver. Just like you. Here’s to giving. And bourbon! This sounds insanely good. 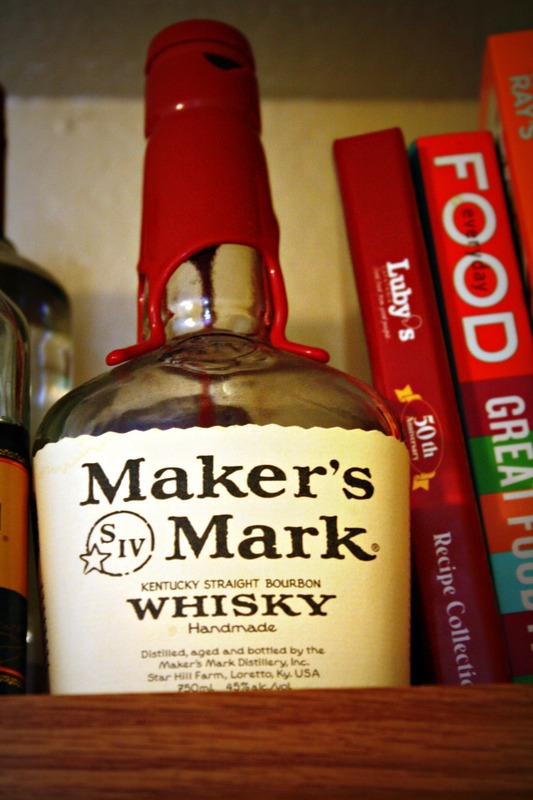 I’m glad you included the drinking of Maker’s Mark in the recipe. I usually include booze-drinking in my recipes, but I’m not sure if anyone takes me seriously. Obviously, we are on the same wavelength. I think any holiday recipe should include a preheating and a preboozing.